As cats enter their senior years, those who have addressed dental care with regular dental checkups throughout their life, have a significant advantage over cats who have ignored their dental issues. However, regardless of whether dental care has been a mainstay of your cat's preventative program, it will be extremely important as it ages. Dental disease is a gradual but painful degenerative condition. 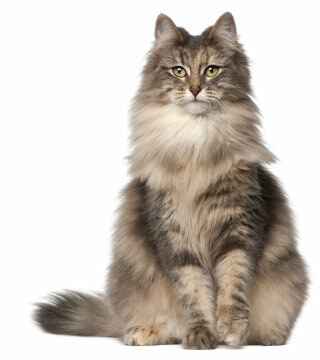 Living with chronic pain is very stressful and will significantly impact your cat's well being. Of course your cat won't let you know that they are in pain, however the fact is that all cats over 4 years of age have some level of oral health issues, and these conditions do cause significant pain. If your cat has not had a dental checkup in over a year, they are definitely due. Schedule an appointment today. At Point Vicente Animal Hospital, our compassionate and supportive veterinary team is here to help you in any way that is in the best interests of you and of your feline companion. We understand this is a very difficult time regardless of the situation. You have lived with your cat for a long time, you have a strong bond with your cat and the grief process is real and should be taken seriously. Please contact us for information about end of life services including grief support.